An organised desk is an essential discipline to have. Not only for yourself but to your customers, team members and co-workers, even if they will never be in the same physical space as you when you are working. Your workspace is a visual representation of professionalism - what does it say to you, looking at it right now? 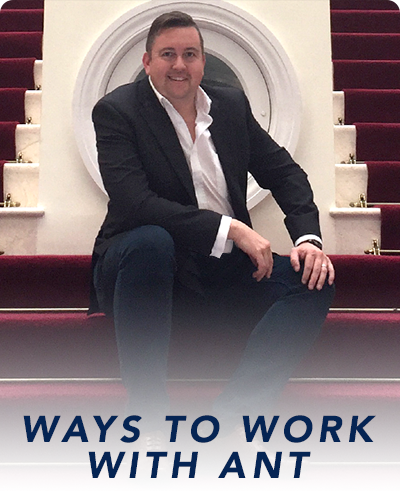 Does it help you to stay focussed, promote a strong work ethic in you and show that you are achieving success? Limit the items on your desk to the things you use on a daily basis. Remove anything without that does not have a daily purpose. With less shuffling things around when you need something and far less to distract you, your productivity will soar and your stress will reduce. Stress is unavoidable when mess and chaos surround you. 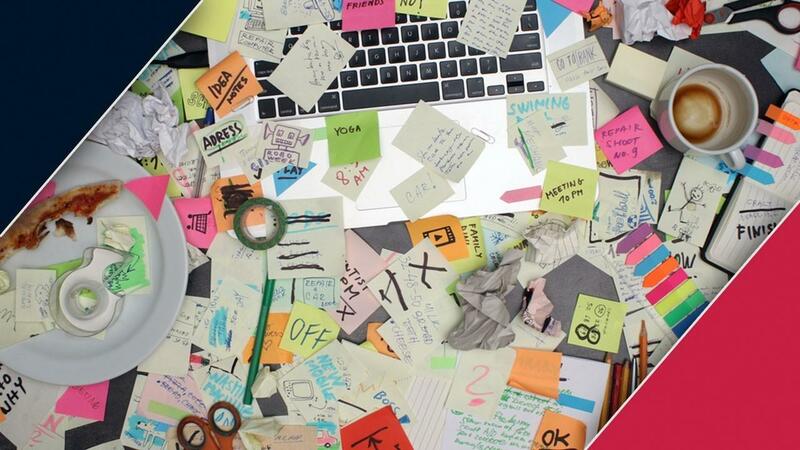 A messy workspace increases distractions and often leads to having a negative state of mind. The confusion this brings contributes to feelings of being overwhelmed also. When you are already stressed about a current project or workflow, having an organised desk will help keep you focused and remain efficient. Decluttering your desk is the first step. But when doing this you may find that there are many things that you do need to use or that you reference every day. When sitting at your desk, you can neatly position notes, papers or printed checklists that you refer to each day, on the walls around you. Things that you do not need to use or look at every day should be filed away, tidied into cupboard storage or removed from your workspace environment completely. Be ruthless with unused items and documents. It's time to throw things away. Hoarding and keeping things that you do not use, take up space in your mind and often presents more distraction. When decluttering your desk, ensure you have a recycle bin and rubbish bag to hand and use them to remove anything that you have not looked at for at least 6 months. If you are sincerely afraid that in throwing something away because it is an important note, then file it away in a filing cabinet or drawer. It is then tidied away somewhere so that you can reference it later when needed. Better still, photograph it, store it electronically and then throw away the paper. You might be thinking, “I don't even have time to sort my desk and clear all these papers away.” Just think about how much time you waste everyday sorting through files and piles of papers from months or maybe even years ago. After every item you use and want to keep, has it's own designated place, you are waste less time when switching between projects and tasks. Tidy your desk at the even of every day. Take just five minutes before you get up from your desk or before you leave the office at the end of every day, and tidy things away and file papers on your desk. Think only about what you will need the next day and have that ready on your desk before you leave for the day. Remove any cups or mugs, snack wrappers and turn off all electronic devices. What you will find when you arrive the next day is a desk all tee’d up ready to take on the day. An organised working environment also saves you time, brings back that professionalism, and reduces stress. Being productive when working from your home office or at your desk in your companies office, isn't only about willpower, disciple and determination, it's often just about following a few simple strategies that will help you be efficient and effective. Use these four strategies to increase your productivity.